In 2015, Japanese Soba Noodles Tsuta is awarded the prestigious Michelin Star, the first for a ramen eatery. 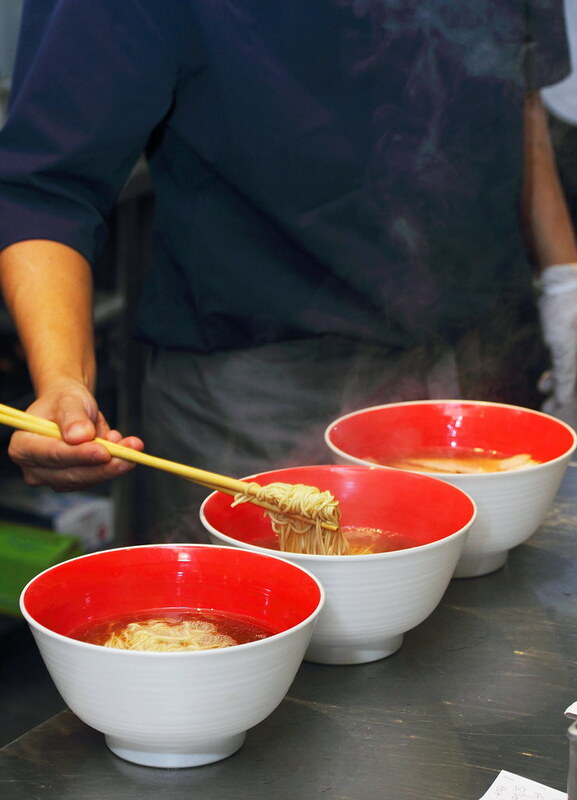 The Michelin starred ramen eatery is founded by Chef Yuki Onishi in January 2012. The little eatery has only 9 seats in Japan and it only serves 150 bowls of ramen daily. Now Singaporeans have the chance to savour the award winning taste of Tsuta right on our soil with the opening of Tsuta at Pacific Plaza on 6 November 2016, 11am. 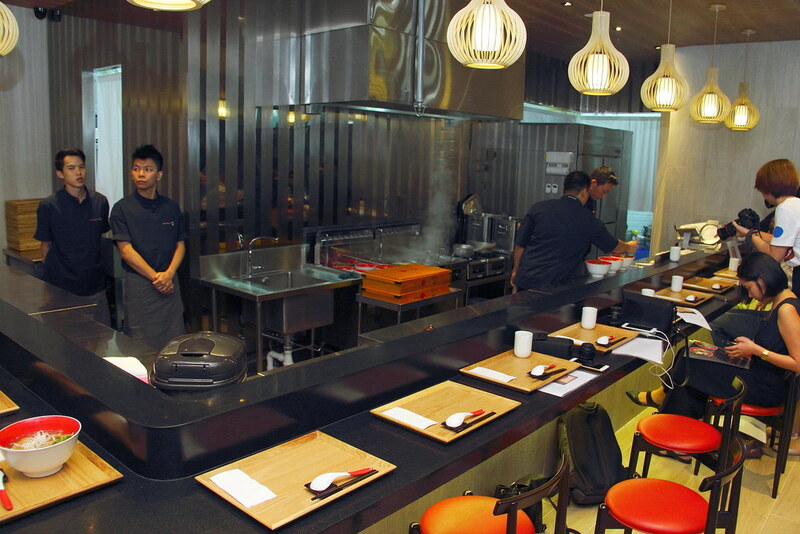 The first overseas outlet in Singapore will have 18 seats, more seats compare to the Japan flagship outlet. The noodles at Tsuta are handmade on site using a blend of several types of whole wheat and whole grains flavours, specially selected by Chef Onishi. 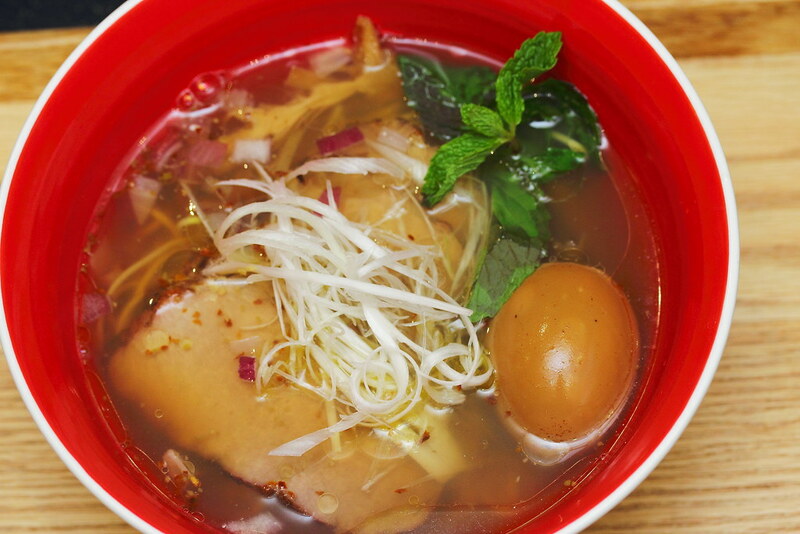 The result is a delectable texture that marries well with the ramen soup base. The other uniqueness of Tsuta ramen is the clear soup base. It is a mixture of its unique blend of shoyu with Chef's dashi recipe made from whole chickens, vegetables, clams and other seafood. The soy base is created from a special blend of shoyu that is formulated in house, as well as a custom brewed shoyu made in Wakayama Prefecture to Chef Onishi's specifications from whole soybeans that have been matured for two years. 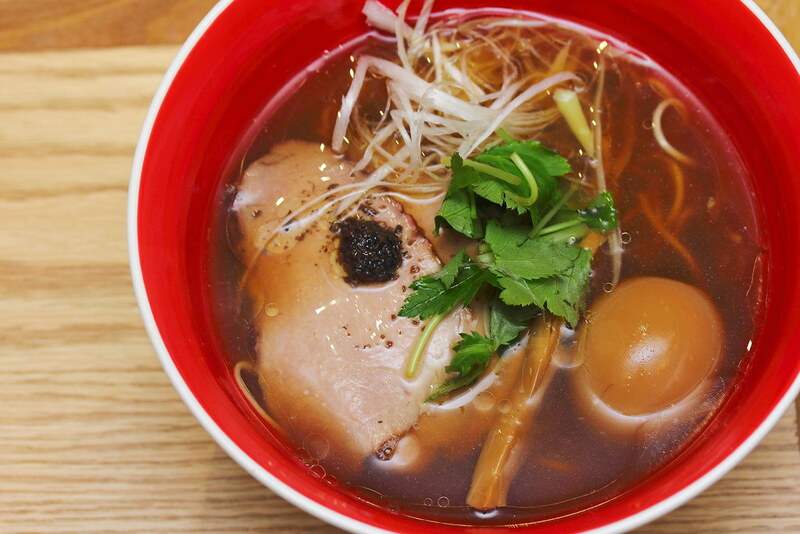 The specialty at Tsuta is their truffle oil shoyu soba that brought it to fame. Hence I just have to give it a try. I had the Char Siu Ajiama Shoyu Soba ($22.80) which comes with 4 slices of char siu, bamboo shoot, leek and flavoured egg. A sip of the soup and my whole mouth is filled with the piquant black truffle scent. It felt like having a rich and robust mushroom clear soup. Instead of using pork belly. Chef Onishi has opted to using the pork collar instead for a more delectable bite. A base bowl of shoyu soba starts from $15 a bowl. 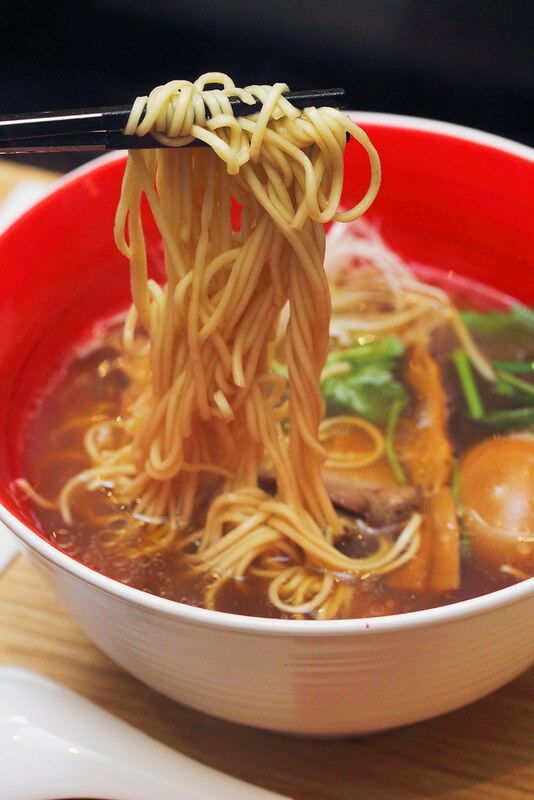 The Char Siu Ajiama Shio Soba ($22.80) is a lighter version compare to the shoyu soba. The shio broth is created by adding Okinawa sea salt and Mongolian rock salt. I could also taste hint of truffle in the broth, mild but yet nicely balanced with the saltiness. 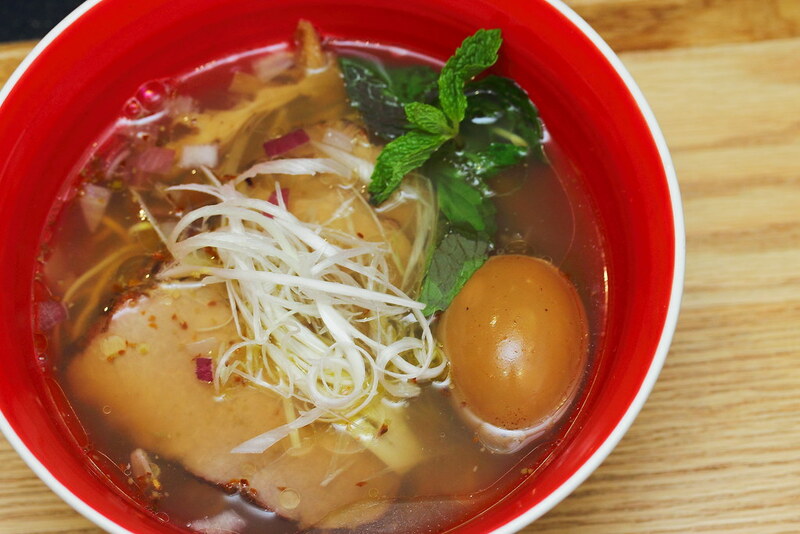 Overall the broth is light but yet complex which I have difficulty finding words to describe that harmony. A base bowl of shio soba starts from $15. 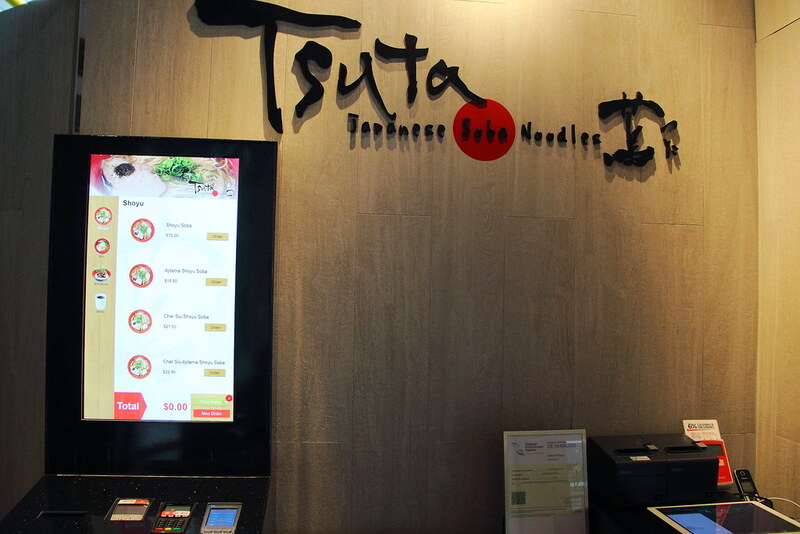 Ordering at Tsuta is quite similar to the experience in Japan. Instead of vending machine, you just need to touch the screen panel to make your order. Payment can be make using cash, NETS and credit cards. You may wonder why the ramen is called soba at Tsuta? This is because Chef Onishi wants to keep tradition of calling noodles as soba in Japanese. Last but not least, do have a cup of Wheat Tea to wash the down the richness after your meal. The wheat tea is specially selected by Chef Onishi which felt it best complement his ramen.